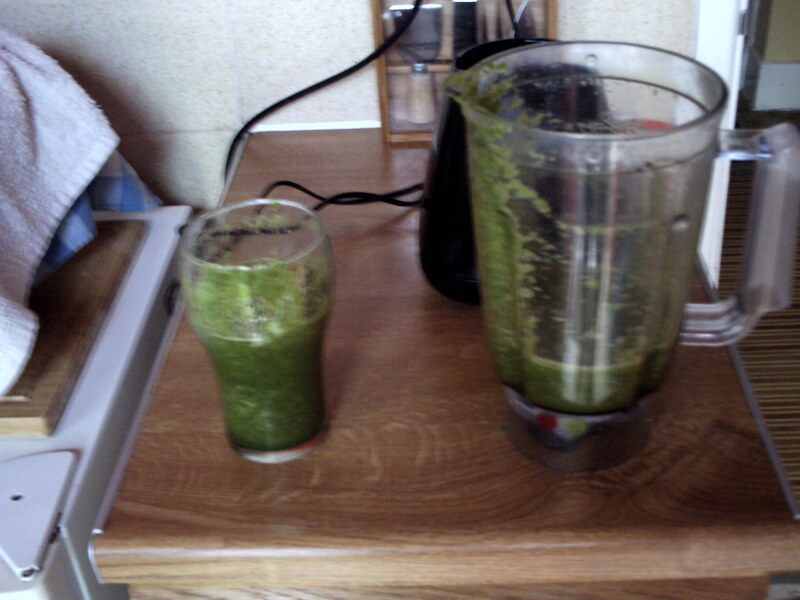 I added just under a pint of water to my blender and threw in a stick of celery, a chunk of cucumber, a handful of red grapes, some green beans, an apple and a generous helping of spinach. I whizzed as I went along and gave the whole lot a good old whizzing at the end. I have found now that the longer you whiz, the closer your concoction gets to being a smoothie! This entry was posted in General and tagged juicing, raw food, raw food juice, raw food recipes, Ricky's Raw Recipes by Bloggin With Rich. Bookmark the permalink.